This date is written in red on the calendar like every other holiday… yet it is not a common one! January the 6th is red, vivid among the first days of the year, the last day of a joyful carousel of many other jolly numbers as red as candy apples… but there’s something more behind its holiday appearance. December the 25th is a full holiday,with a sense in itself. January the 1st, again, is another holiday that makes sense on itself, standing at the beginning of the calendar, waiting for other red numbers to join the party. But what about January the 6th? What about La Befana (as we call this day)? The 6th is meant to be the last in line, the one that turns off the lights and closes the door. Sadness? Absolutely not! A joyful holiday season is finished, this year more homely and warm than usual, but we’re ready to live another season just as good! Have you noticed that the days are getting longer bit by bit? The light is regaining its kingdom, the air smells of novelty, such as my diary with only a few appointments marked, New Year’s resolutions begin to come true… or maybe not… The important thing is that today starts a cycle that will lead us to talk about strawberries, ice cream and picnic blankets in the blink of an eye! As spring is still far away for the moment, before closing the door to the festivities and turning out the lights, let me make the last swan song of the Christmas period. If you eat one of these, you can not keep yourself from grasping a second one, and so on. Let me introduce you ricciarelli, almond sweets typical of Siena, covered with icing sugar, with a soft heart that melts in your mouth, fresh and moist, characterized by the piercing smell of bitter almonds. The origin of ricciarelli di Siena dates back to the fifteenth century: the almond paste – in the form of marzipan or Marzapanetti – was once very popular in the town and Siena was famous even outside its territory for its production. The cookies made with almond paste were reserved for the sumptuous banquet of the Lords because they were made of precious ingredients, mainly almonds and sugar. They were so valuable and refined that marzipan sweets were sold in the apothecaries shops along with drugs and the most exotic spices of the time. This recipe comes from the grocery shop Rosi in Poggibonsi (SI), slightly revised. Last year I followed their doses to make cavallucci – very good – this year I tried ricciarelli – the real ricciarelli di Siena – and next year I already know that I will venture myself to the panforte (gingerbread). I love to enter their shop during the holidays because it is full of smells of spices, happy-eyed children and chocolate… but, most importantly, it is full of people talking in code: can you give me the ricciarelli dose for three? stuff for cavallucci without candied fruit, double nuts. Gimme my usual and gimme the spices, too. It’s a turnaround of numbers, doses, tips offered in a lowered voice, small pieces of written paper and puffs of icing sugar, and the result is this! Ricciarelli di Siena. The night before. Whip the egg whites with a drop of lemon juice to stiff peaks. Fold in gently the icing sugar and the ground almond flour. Mix in the bitter almond extract, the grated peel of one orange and the vanilla seeds. Cover with cling-film and set aside in the fridge overnight (or at least for 4 hours). The day after. Cut out about twenty (approximately 7 cm x 4 cm) ovals from the wafer sheet: they are meant to be the basis of ricciarelli. Place the extra icing sugar on a wooden working surface. Roll the dough into a sausage and cut out small balls of dough. Shape the dough with your hands to cover the wafer oval. Make it about 1 cm thick and coat the shaped cookies with extra icing sugar (about 5 mm thick). Arrange them on a baking tin lined with parchment paper or a silicone sheet. Bake in preheated oven to 160°C for about 18 minutes. When you remove them from the oven, they will be still soft and moist, but don’t worry, they will reach the ideal texture once cooled down. Store them in an airtight container... the day after they are even better. And if I can’t find almond flour? Don’t worry, you can make it at home! Buy the almonds, shell them and remove the outer brown skin (to remove it quickly immerse them for about ten seconds in boiling water). Toast the almonds in the oven at 100°C for about 5 minutes and then let them cool down. Blend them with a tablespoon of icing sugar. Pulse the mixer several times using the pulse function or by pushing the “on” button, holding for a second, and releasing. The goal is not over heating the almonds, otherwise they will release the oil. Blend until you get the consistency of a medium – fine and coarse meal. Great cookies! So pretty and delicate looking. This year, it seems that everyone had a simple/humble and homely Xmas. Happy New Year! How similar the ingredients here are to those in French macarons but how different the instructions and resulting cookie! I must definitely try to make these. @ Zita: yes! this is your challenge! I’m so happy we decided to do this game! 😉 The link cloth is a scarf, my Grandma made it! Isn’t she great? @ Rosa: indeed! I loved this humble and homely feeling! @ Sylvie: I noticed this similarity too! I’m not good in making French macarons, though, but I won’t give up! it will be my next challenge! Saw these photos on your flickr page and I HAD to come visit your blog hoping that I would find a recipe for these gorgeous. I really am eating them through my eyes! These look gorgeous.makes me think of a kind of Moroccan cookies made with almond flour and orange blossom water. @ Prerna: Thank you for your nice comment! they are soo good you must try them! @ Soma: do you have the recipe? I would love to try them, too! Chk. ur mail. just mailed u the recipe. So much lovely almond flavor. YUm! @ Briarrose: 2 tablespoons oh heaven! I had the wonderful fortune to live in Siena for 6 months in College and fell in love with these treats! I can’t wait to try to make these! this is the traditional recipe, you won’t be disappointed! where did you usually buy it? Nannini? forno delle campane? Buti? Did you really mean 2 Tablespoons of almond? yes, two tablespoons of almond extract! it will give the unique bitter almond flavour! where can I buy the white wafer – and can you in the States? Hi Mariella, I’m sorry but I don’t know where you could buy it in the States. However, it’s no essential to have excellent ricciarelli, so if you cannot find it, no problem, go for them anyway! Ok so bitter almond oil or bitter almond extract? Is there a difference? I have seen many suppliers here in the U.S. with the former. I have not found the latter. Is ok to use regular almond extract? Regular almond extract would to the same! Happy baking Sue! This recipe sounds divine, I can’t wait to try them! How far ahead can they be made? Hi Vanessa, you can make them a few days in advance and keep them in an airtight container! Enjoy! Hi Ginger, your comment made me smile, you’re so kind! Hi Jane, use all the sugar you need just to shape the cookies, do not add it into the dough. And when you will bake it, give them at least half an hour before you move them from the baking tray, because they will still be soft and moist inside. Just try and let me know! Hi Giulia, I just returned from my first trip to Italy where I purchased a box of Sapori Ricciarelli and so wanted to try making Ricciarelli at home in Texas. I found your recipe and made the cookies without the wafer paper. After leaving the batter in the refrigerator overnight it was very wet and there was no way to roll it into a sausage to cut into balls. Should I add more almond flour to improve the consistency? I scooped the batter by spoonfuls onto a baking sheet. The cookies tasted fabulous, but are flat and not pretty like yours. Just wondering what I did wrong. I converted the flour and sugar from 200g to 1 cup each — maybe I didn’t use enough? Thanks for your time. Just returned from Italy. The last day was in Siena and ricciarelli was my first google search leading me to your blog. Bella. As soon as I can find all the ingredients locally this is my first pastry to make. Ciao Kevin, so happy to receive your comment, I hope you enjoyed Tuscany and Siena! You will be amazed to discover how simple this recipe is, you’ll love it! Giuliani, Thank you so much for sharing this great recipe. My wife and I have traveled throughout Italy and the Riccarelli in Sienna was her favorite! I have tried several recipes, but yours is by far the closest to the ones we had in Sienna. When I saw the smile on her face and a big “thumbs-up”, I knew we found our recipe. My next challenge will be to replicate Sfogliatelli. Thank you again for sharing this wonderful recipe. Also, I spent three months in Rome learning the art of Gelato and Sorbetto making. Is the white wafer actually rice paper? I have been trying to determine how to find it. Kind of.. we call it ostia, but it is not essential for the perfect result of the ricciarelli! They have to be chewy.. wait a few hours before eating them, better the day after! SOOO excited to try this recipe this week! Am searching for the white wafer paper, just found it in San Antonio and am going tomorrow. I was in Siena again in October for a conference and had these every morning with cappuccino — divino! Grazie mille per il ricevuto, I will post of the results after trying it. Wish me luck! Good luck Joellen! perfect with a cappucino, you’re right! Hi! I am just coming back from a 2 week stay in Italy, and I missed these cookies! Louisa from Il Rigo Agritourismo near San Querico recommended this recipe for Ricciardelli. I made these at home (in the USA) last week attempting the conversion from grams to cups. I ended up needing about 1/3 cup more almond flour to get the consistency correct to roll the dough into a log to cut. Other than my faulty conversion, the cookies tasted wonderful, and just how I remember them from Tuscany. Thank you! Hello Mira, so happy you tried the recipe and it turned out great! yes, it might take some time to get the perfect balance of the ingredients, especially for the conversions, but once you nail the recipe, you’re done! Thank you for your sweet feedback! i was looking everywehre for it and i must try it out this christmas. Do you have any other traditional italian sweet recipes for christmas? Hi Giulia! I spent a month in Siena for some research and popped into Nannino’s every late afternoon, after a busy day, just to sit with a cappucino and a couple of ricciarelli. One blonde one and one chocolate one. I am so happy to have found the recipe!! Shall try and make them for Christmas. Love from Inghilterra, Marietta. Thank you Giulia for this wonderful yet simple recipe! They came out amazing from the first try! I’ve seen some others (in Italian) suggesting to use sodium bicarbonate or even yeast, with adding the egg whites just before baking. There’s absolutely no need to do this, your recipe is pure simplicity and it tastes just like in Siena! These ricciarelli are so good. My husband immigrated to the USA from Italy in March. 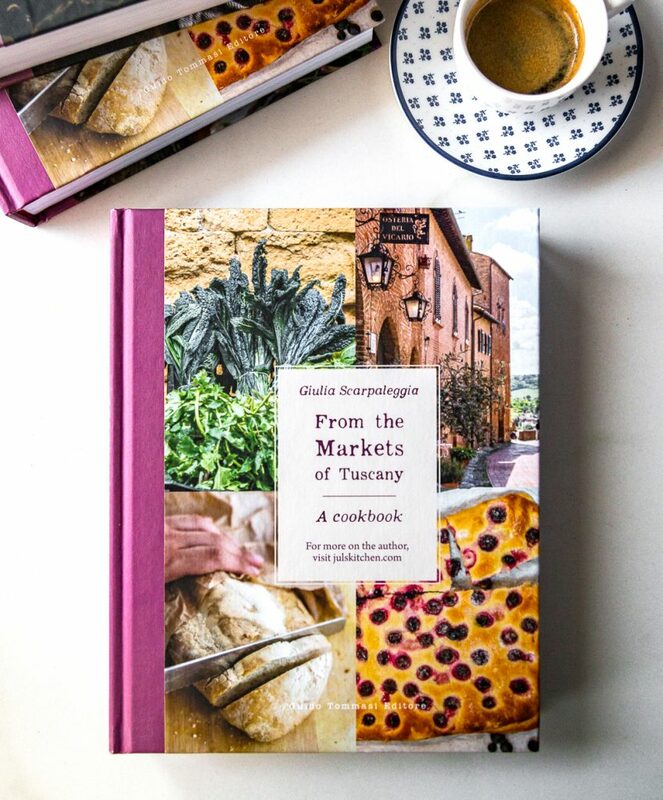 His family is in Siena and Poggibonsi, so this recipe was perfect to help him feel at home. (E devo dire che sua madre e’ brava in cucina ma spiega tutte le ricette come sono un italiana – “la dosa normale” o “la dosa giusta” per ogni cosa. Aiutami!) So, here’s an American thank you for your recipes on many levels. For your American readers who don’t have a scale in the house, a cup of almond flour is 100g, but the powdered sugar is about 140 grams (not packed, but leveled off with a knife). Now that I’ve found you I’ll keep trying your recipes – would you ever consider publishing a recipe for pane normale? There is no bread crusty enough here in America! ahahah! so fun, Alice! your mother-in-law’s approach to recipes is just like my grandma’s approach, so I know how you feel! I will probably publish the recipe for the bread in the near future, yes. Buon Natale from Tuscany to you and to your husband! This recipe is perfect, thank you! My mum and I discovered ricciarelli when on holiday in Florence and Siena last autumn, and loved them. I searched online for a recipe that seemed authentic, decided to try yours, and made some last night as a wee surprise for her. They really couldn’t have turned out better, and we’re eating them right now, with cups of tea. Absolutely lovely. This makes me so happy! Happy new year and enjoy your ricciarelli! Thank you and I did! All my friends are happy because I am sharing them! The surface did not crack as nicely as the photo, and the colour is quite a bit lighter, but taste divine. My friends thought that these are amaretti. So happy to hear this! I bet now you are famous among your friends! 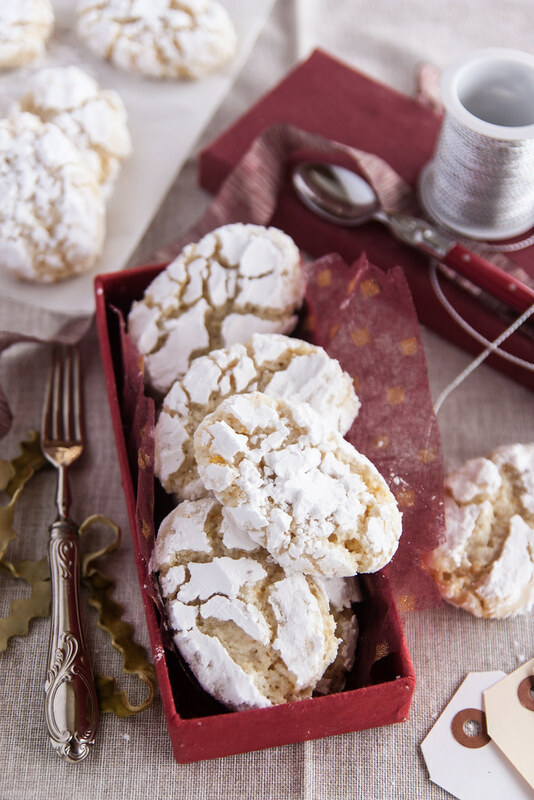 yep, they taste similar to amaretti, but ricciarelli are a whole different thing! Next time try to use more icing sugar to coat them, it might solve the wrinkle problem! they are edible, the same wafer paper used at mass, I don’t know how this could be called in English. But you can avoid it if you don’t have it! The wafer paper is also called wafer paper in English. In the US, you can get it at Michael’s in the cake decorating section or if you live in an area with a Catholic supply store, you can sometimes find it there. Or you can order it online – it’s also sometimes called edible rice paper. Good luck! Thank you so so so much Karen, it means the world to me! 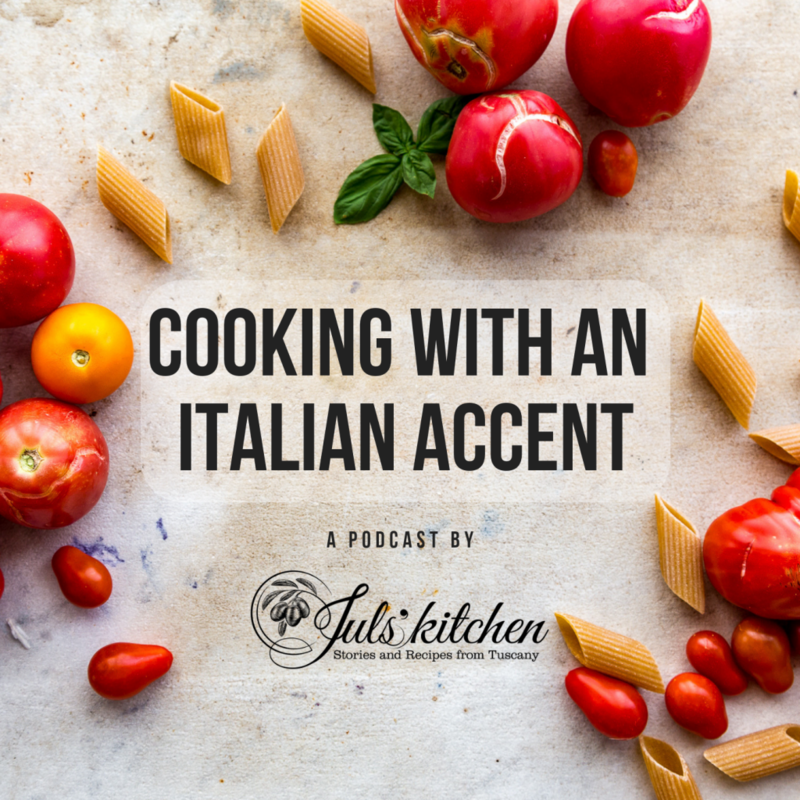 looking forward to sharing more Sienese recipes with you! Yes, try with that, too! Do you mean 2 TBSP of bitter almonds or sweet almonds ? Now I get heavy handed with the old bitter almonds when I make ameretti biscuits but its not near 2 TBSP ! Not good to eat to much of the stuff, itll kill you ! Ciao Claudia, it is bitter almond flavouring, which I guess is just a chemical flavouring, or a natural essence, anyway not poisoning at all! Oh sorry, you should try the real bitter almonds’ essence from bakery bits yum ! You really dont want 2 tbsp though ! They also do Fiori di Sicilia Essential Oil and Aroma Panettone Essential Oil you can basically make anything taste like panettone ! Try panatone biscotti with fruit in, trust me YUM ! I have been looking for the wafer – there are two different things that I’ve found. One is a tort wafe and the other is wafer paper. Which one is right? Other recipes don’t mention the wafer at all – can you explain this? Thank you! Hello Debbie, it is the wafer paper. I usually bake the ricciarelli also without the wafer paper, as often I feel the urge to bake them and I don’t have the wafer paper in my pantry. This said, though, the traditional ricciarelli you buy in Siena have this piece of wafer paper on the bottom, which is just a little lovely addition to their flavour and texture. If you can find it, give it a go! Thank you so much for responding so quickly, Giulia. We were in Tuscany a year ago last summer, both in Siena and in Poggibonsi. We stayed just outside Casole d’Elsa. I have been following your blog since then because I was so excited about the beauty of the area and the food. I am looking forward to trying out this recipe now that I have all the proper ingredients! Thank you. I’m from Colle Val d’Elsa, how cool is that?! These cookies are wonderful and are quite true to taste and consistency. I made these as a surprise for my Mother for Christmas tomorrow and I’m sure she will say they taste just like home! I weigh everything when I bake, so the conversion to grams was simple and the ingredients were spot on! I decided to make smaller, two-bite cookies and the recipe converted perfectly. The most time consuming part was cutting out the wafer circles. 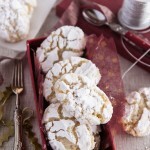 This is a great recipe and seems very close to the Ricciarelli we had in Siena almost 30 years ago. The only change I made was to reduce the almond extract to 1/2 teaspoon, but that is personal taste. I tried a variant of the recipe, just out of curiosity, and substituted hazelnut flour for the almond flour and added 4 tablespoons of cocoa powder and one additional egg white. If you like giandujia, these are delicious. Next time I’ll try the hazelnut and chocolate combination, sounds wonderful! what is a sheet of wafer – like the pizzelle? I usually bake the ricciarelli also without the wafer paper, as often I feel the urge to bake them and I don’t have the wafer paper in my pantry. This said, though, the traditional ricciarelli you buy in Siena have this piece of wafer paper on the bottom, which is just a little lovely addition to their flavour and texture. If you can find it, give it a go!